Malachy Sweeney, Crozon Downs, Sligo and formerly of Dungannon, Co. Tyrone. Peacefully at The Hazelwood Unit, St. John’s Hospital Sligo. Reposing at Foley & McGowan’s Funeral Home, Market Yard, Sligo, today from 5.30pm until 7.30pm. 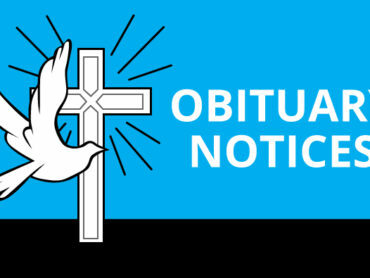 Funeral will arrive to St. Anne’s Church, Sligo on Friday for requiem Mass at 11am with funeral proceeding to The Holy Trinity Cemetery, Ballisodare, Co. Sligo. House is strictly private please. Family flowers only, donations in lieu if desired to St. John’s Patient Comfort Fund c/o Foley & Mc Gowan Funeral Directors. 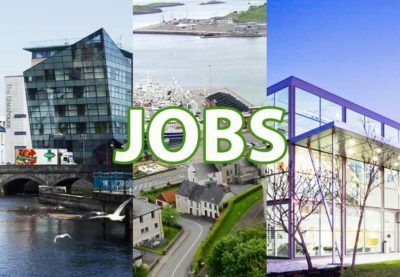 Aaron Heraty, Rampark Lane, Finner, Ballyshannon, Co Donegal. Tragically. Reposing at his late residence, with remains going to St Joseph’s Church, The Rock, Ballyshannon, today for 11am funeral Mass, with burial afterward in the adjoining cemetery. House private please. Family flowers only please, donations in lieu if desired to STOP, C/o John or Darren McGee Funeral Directors or any family member. Kevin O’Connor, Market Yard, Sligo and formerly Buenos Aires Drive, Strandhill, Co Sligo. Unexpectedly at his home. Reposing at Nazareth House Chapel, Churchill, Sligo, today from 6 pm until 8 pm. Funeral to arrive at St Patrick’s Church, Strandhill, for Mass of Christian Burial at 10am on Friday. Cremation to follow at Lakelands Crematorium, Cavan, at 2.30pm aprox. Family flowers only please. Donations in lieu if desired to the Irish Heart Foundation, c/o Seamus Feehily and Sons Funeral Directors, Pearse Road, Sligo. Gerald Golden, Lugdoon, Templeboy, Co Sligo. Peacefully at the North West Hospice, Sligo. Requiem mass in the Church of the Immaculate Conception, Templeboy, today at 11am, with cremation afterward in Lakelands Crematorium, Cavan. Family flowers only please. Donations, if desired, to North West Hospice, Sligo. Margaret Leslie, Meena Hooghan, Killybegs, Co. Donegal. Remains reposing at the residence of her brother PJ and Anne Marie. Removal on Friday morning at 10 30am to St.Mary’s Church, Killybegs for 11am funeral Mass. Burial afterwards in the local cemetery. House private on the morning of the funeral please. Sean Keaveney, Cornamon, Glenfarne, Co. Leitrim. Unexpectedly at Sligo University Hospital. Reposing at Our Lady’s Hospital Chapel, Manorhamilton, this evening from 5.30pm until 7pm followed by removal to St Mary’s Church, Glenfarne to arrive at 7.30pm. Funeral Mass on Friday at 11am with burial afterwards in the adjoining cemetery. Laurence (Larry) Scanlon, Leyton, London and formerly of Sligo Town. Suddenly, at his residence in London. Funeral service will be held at 3.30pm on Wednesday 20th February at East Chapel, City of London Cemetery & Crematorium, Aldersbrook Road, Manor Park, London, E12 5DQ, UK. Family flowers only please to Manor Park Co-op Funeralcare, 50 Whitta Road, London, E12 5DA, UK before 12pm 20th February. Donations in lieu of flowers, if desired, to Age Action Ireland or Age UK. Rose McGroarty, Keelogs, Inver, Co Donegal. Peacefully at Letterkenny University Hospital. Reposing at her late residence today from 12 noon until 10 pm. 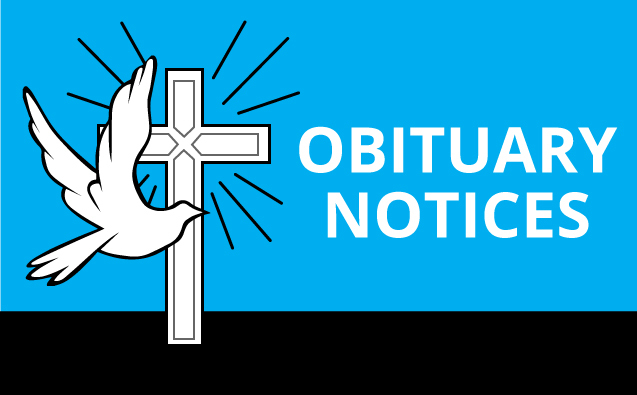 Removal on Friday afternoon for 2.30pm funeral mass in St Naul’s Church, Ardaghey, with interment afterwards in St Mary’s Church Graveyard, Frosses. Family flowers only, donations in lieu to the friends of Letterkenny University Hospital, care of any family member or John McGowan Funeral Directors. A one-way system will operate at the wake house, entry via Inver Bridge and exit at Ballymaccahill and Meenagrane road. House private on Friday please.